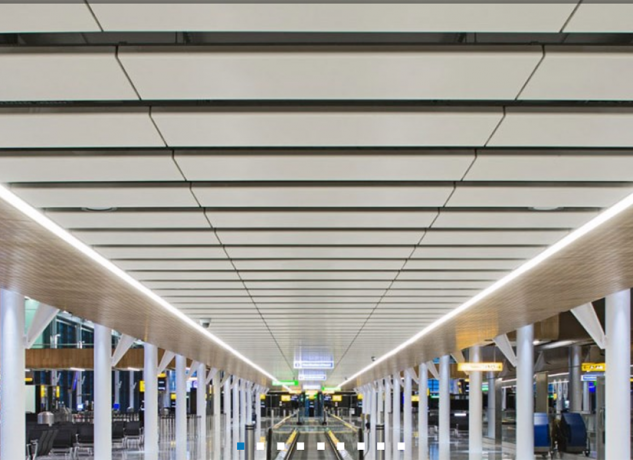 SAS600 is an acoustic raft or module that is directly suspended from a flat structural soffit or in coffers. The system facilitates free air movement to structural slabs to benefit from natural thermal mass cooling. Square + rectangle. Bespoke baffle shapes are possible. If your specification requires complex shapes, please contact our technical design team for more information. Flat SAS600 rafts and modules provide the ideal solution to many environments. Luminaires can be integrated within the raft or mounted independently between rafts. Curved SAS600 rafts and modules allow a larger acoustic area to be incorporated into the design. The raft/module has an integrated central luminaire with acoustic pads to the larger outer surface area. SAS600 rafts and modules can be designed and tailored to any project or environment. 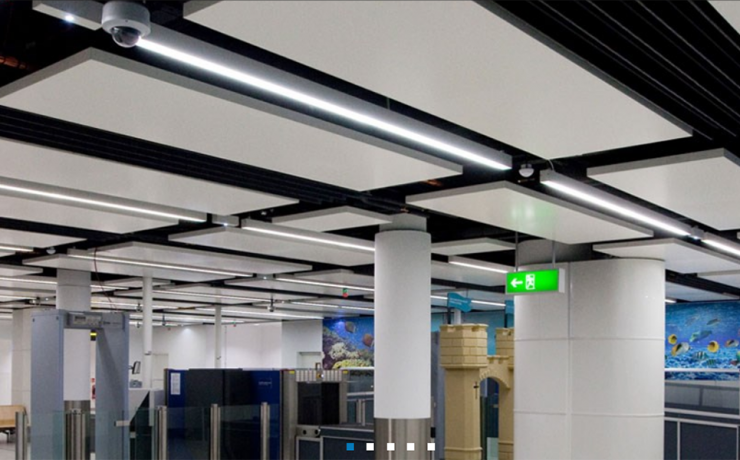 They can incorporate service ducts, removable panels for partitioning or any other specified services including fire detection and control systems. The rafts and modules are not limited to the flat or curved design. Bespoke designs can be angular, radial or waveform. Acoustic pad as standard. (50mm deep, 45Kg density mineral-wool pad with black tissue face). Other acoustic treatments are available, depending on project requirement.